Entrance TEFAF Maastricht, 2017. Picture courtesy of Loraine Bodewes. 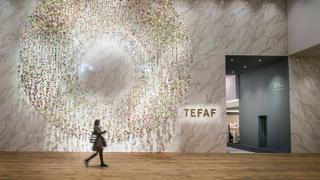 Cahn International AG will return this year for TEFAF Maastricht. Picture courtesy of Harry Heuts. For 30 years, art and antiques fair TEFAF Maastricht has been an important meeting point for fine art lovers, buyers and dealers. In March 2018 it will return to the Dutch city for its 31st edition, promising a huge variety of galleries, exhibits and buying opportunities sure to attract distinguished private and institutional collectors the world over. This year, TEFAF welcomes 270 exhibitors organised into distinct categories including ancient art, antiques, design, tribal art and more. 2018's exhibitors feature 16 newcomers, including Massimo De Carlo and Perrotin as part of TEFAF Modern, as well as Oscar Graf and Galerie Jousse Enterprise in the TEFAF Design area (to name a few). Also making an appearance are the five galleries comprising 2018's TEFAF Showcase selection. The initiative was founded ten years ago with the purpose of putting newly established, lesser-known galleries on the radar by inviting them to partake in a major international art event. Be sure to stop by if you have a penchant for discovering new under-the-radar artists creating exceptional pieces. If you're a regular attendee it's worth noting that for 2018 the fair will be changing its opening days. 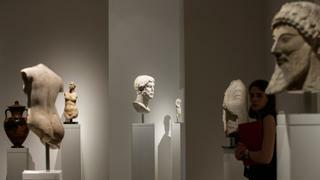 The first two days will be invitation-only as TEFAF works to improve itself as a selling platform by letting various collectors examine the works on display before the show proper begins. From March 10, the fair will be open to the general public, anticipating over 75,000 guests. And if you're just there to admire? Head to TEFAF Paper where Bartholomeus van der Helst's recently restored The Headman of the Longbow Civic Guard Horse will the be the star of the loan exhibition. Marvel at the impeccable restoration work done by the Amsterdam Museum and compare authentic 16th century silverware with their counterparts depicted in the 17th century painting. TEFAF Maastricht will take place at the MECC Maastricht from March 10-18, 2018. Visit tefaf.com for more information and tickets.